Disney’s Descendants 2 DVD is available August 15th! Based on how much you guys loved the first Disney’s Descendants Fashion Guide, I thought I would make another one to celebrate the new movie. 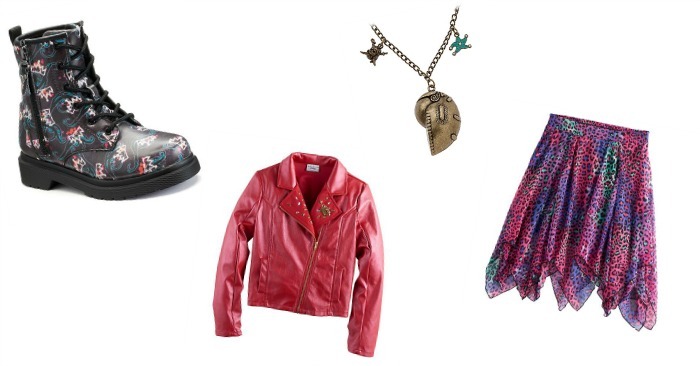 There are tons of new Descendants 2 Fashion and Products out on shelves and online, and this guide will help you find exactly what you are looking for! 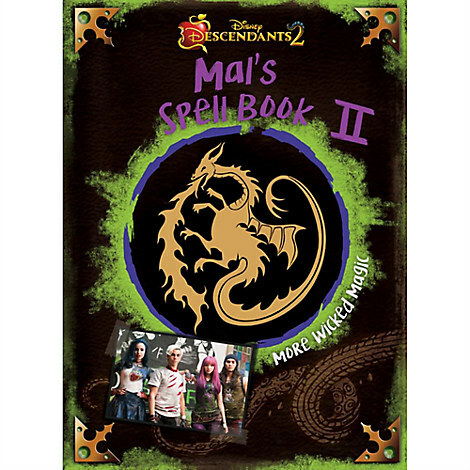 Before you dive into the Disney’s Descendants 2 Fashion and Product, let me tell you about some of Disney’s Descendants 2 new characters and the bonus features on the Descendants 2 DVD! The new characters on Descendants 2 include China Anne McClain as Uma (Ursula’s daughter), Thomas Doherty as Harry (Captain Hook’s Son), Dylan Playfair as Gil (Gaston’s son), and Anna Cathcart as Dizzy (Cinderella’s evil stepsister Drizella’s daughter). I wanted to mention them because there are several Uma products available. Now for those bonus features! Cast Secrets: Personal secrets are revealed by cast members Dove Cameron (Mal), Cameron Boyce (Carlos), Sofia Carson (Evie), Booboo Stewart (Jay) and China Anne McClain (Uma) during the filming of the movie. Bloopers: The cast cracks up on set during some crazy takes. Deleted Song and More: Includes an extended song, a deleted song and two alternate endings. Descendants: Wicked World: A collection of all the animated shorts from season 1. Show of your wicked side with Descendants 2 school supplies including a backpack, journal, and 2018 calendar! 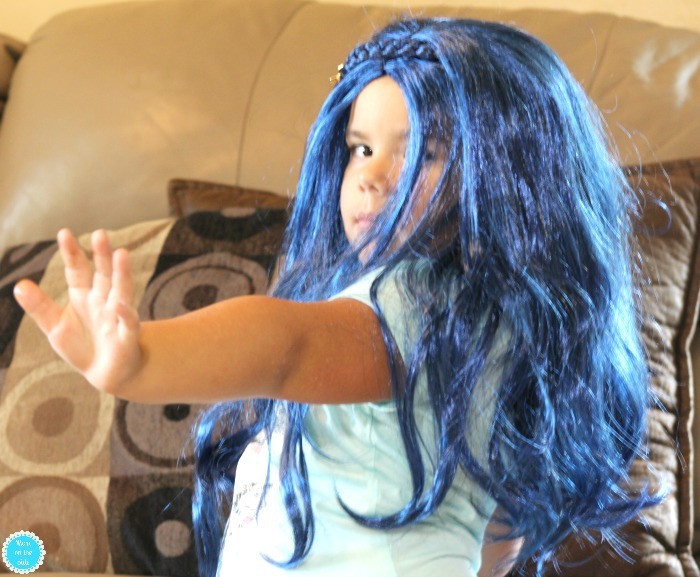 Are your kids are thinking ahead to Halloween? If Evie, Mal, or Uma are on their list, these Descendants 2 Costumes will come in handy. 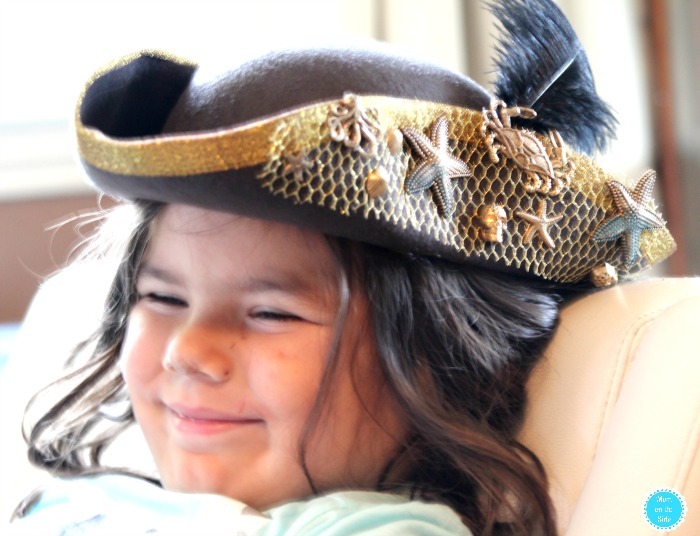 We have a few of the original Descendants Dolls that Miss Charlie still loves playing with. 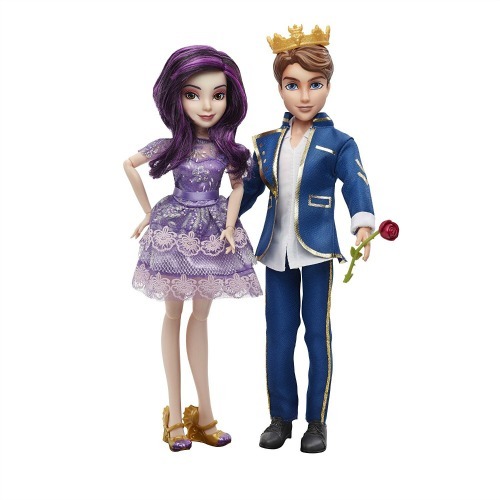 I’m sure once she sees these new Descendants 2 Dolls she’ll want one, especially Mal Cotillion Doll!